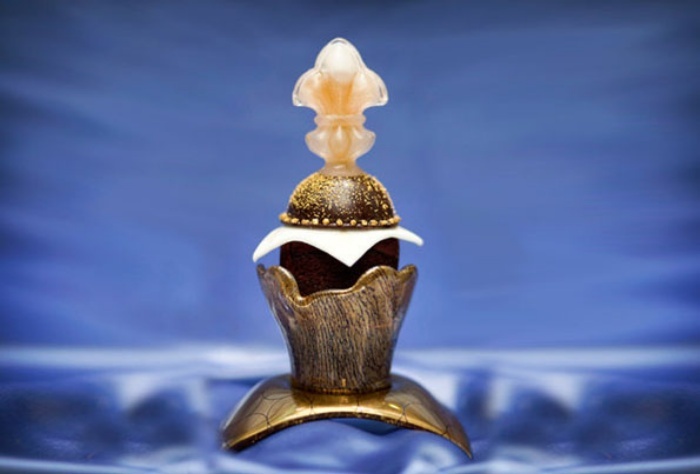 The $750 Cupcake is For People With Expensive Tastes | OhGizmo! Got a sweet tooth? Not just a regular one, but an expensive sweet tooth? Then you’ll absolutely relish taking a bite out of Palazzo’s Decadence D’Or cupcake. It costs all of $750, which is probably enough for a several weeks’ rent for some people. To say that the price of this teensy weensy cupcake is atrocious is probably an understatement. But hey, if you can afford it, then why not? The decadent cupcake is made using fancy Palmira Single Estate chocolate while the frosting is whipped up using Charentes-Poitou AOC butter mixed with Tahitian Gold vanilla caviar. Mmm-hmm! As if that doesn’t sound rich enough, the cake is topped off with Louis XIII de Remy Martin Cognac and bits of edible gold flakes for good measure. The final touch lies in how the cupcake is presented, with the cake encased in chocolate mold and a hand-blown sugar fleur-de-lis cherry on top.